One of the reasons we should know how nuclear weapons work is that the world has explosively entered a nuclear era on July 16th 1945. 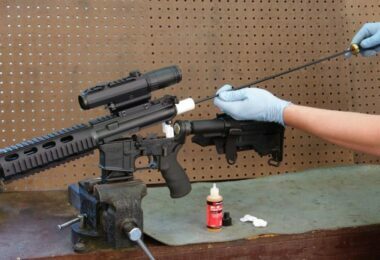 On that day the US planned to test a weapon that was not known before. That took place in the desert of New Mexico. Made from a sphere of plutonium the size of a tennis ball, the bomb called Trinity exploded as an equivalent to 20,000 tons of TNT. Construction principles and the ability to destroy of the nuclear bombs have remained unchanged for 50 years. Materials that emit radiation (uranium, plutonium, tritium, etc.) and the various radioactive rays in the universe (Alpha, Beta, Gamma, X-rays cosmic/solar or radon gas) are common to terrestrial ecosystem. In the late nineteenth century and early twentieth century, many physicists have performed experiments aimed to identify all the properties of electricity. Incidentally, they discovered radioactivity. In those years, most scientists imagined future applications of the new discoveries as extremely beneficial to mankind. W. Roentgen, for example, has realized that they will revolutionize medicine since the first moments after producing X-rays. However, during the Second World War Germany took advantage from the genius physicists like Werner Karl Heisenberg and Otto Hahn and made them develop the first nuclear program in the world. Luckily, Nazi nuclear program failed, but once the nuclear threat was launched, most powers entered the arms race. The star of nuclear technology was called atomic bomb. In 1939, US intelligence already knew that the Nazis are planning the construction of the atomic bomb. Consequently, three years later, the United States initiated its own nuclear program, titled Manhattan Project within the Army Corps of Engineers (Scientists Department of the US Army), under the command of general Leslie R. Groves. General Groves’ top secret mission was to establish three centers for engineering and nuclear production, for which he called the physicist J. Robert Oppenheimer, who also laid the foundation thereof: Clinton Engineer Works in Oak Ridge, Hanford Engineer Works in the east of Washington State and Project Y in Los Alamos, New Mexico State. Meanwhile, in a small secret lab in the basement of the University of Chicago, General Groves appointed Italian physicist Enrico Fermi, Nobel laureate and refugee, to create a controlled nuclear reactor. On December 2nd 1942, Fermi has already completed the construction of Chicago Pile One (CP-1), the first controlled nuclear reactor in the world. For the first time in history, man had tremendous energy released by a nucleus. Immediately, CP-1 was taken at Oak Ridge and Hanford for Oppenheimer and other scientists to find a way to get nuclear fuel and, once the operation is complete, to use the reactor for building an atomic weapon. In 1942, the only solutions for this fuel were uranium (U-235) and plutonium (Pl-239). 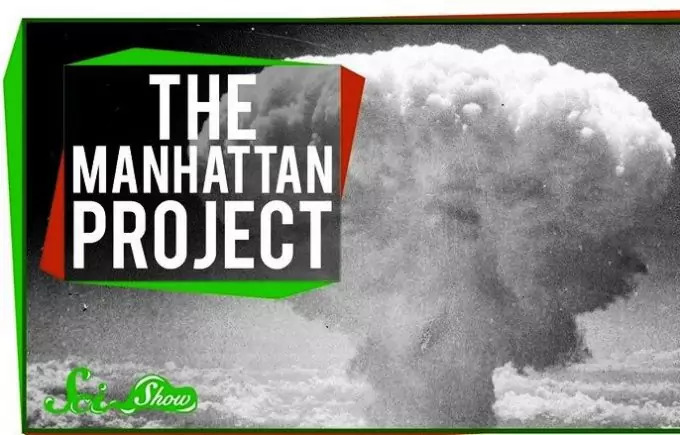 Manhattan Project managers had no idea how quickly and how much nuclear fuel the two substances would produce, which is why they decided to simultaneously build atomic weapons on both elements. Although the leading scientists working in the project were at Oak Ridge and Washington (these bases benefiting from the latest technology), the first atomic bombs were built at Los Alamos. 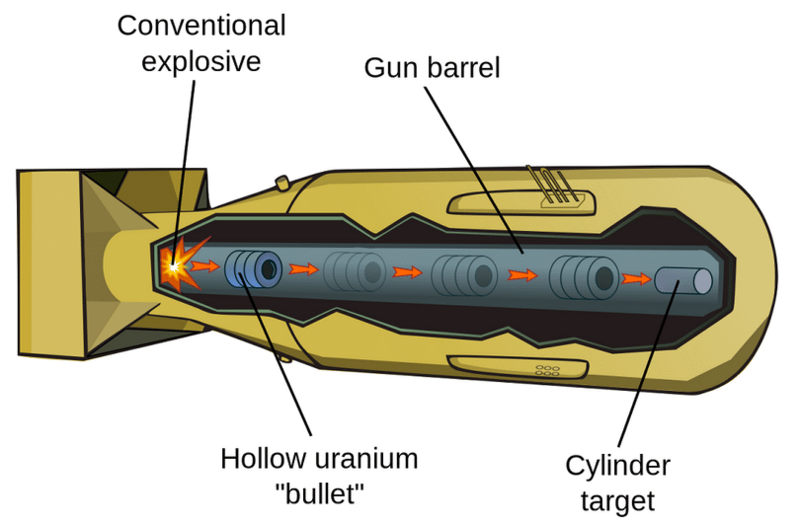 Based on a very simple element – the barrel of the gun – those within the Project Y performed a U-235 bomb: a capsule with U-235 was sent, through a tube, to another U-235 capsule. When the two amounts of uranium were combined the nuclear explosion was produced. A second bomb used implosion to detonate plutonium. More explosions surrounded the ball of plutonium, it compressed and this phenomenon caused nuclear explosion. The two bombs were named Little Boy and Fat Man. Nuclear bomb making involves developing a technology that stabilizes the nucleus of extremely unstable atoms and makes them issue the nuclear energy they contain on demand. This technology is achieved by two methods: nuclear fusion and fission. Both processes result in the release of huge amounts of heat and radiation. To build an atomic bomb, you need a fuel source to trigger fission or fusion, a firing device and a technology allowing fuel to generate nuclear fission or fusion before the explosion takes place. In a fission bomb, the fuel must be stored in separate sub critical masses who can not fissile – that to prevent a premature detonation. The critical mass needed to produce nuclear reaction is the smallest part of the material used to build the bomb. After facing a series of problems, Manhattan Project managers have turned to two solutions: a similar firing mechanism of a gun barrel and an implosion technique. The latter is achieved through a neutron generator, consisting of a small propeller and several sheets of polonium and beryllium which were separating the nuclear fuel. The way the generator was functioning is extremely simple: the propeller combines the two sub critical masses and the polonium spontaneously emits alpha particles. Ultimately, they produce beryllium-8 which releases neutrons. Then the neutrons initiate fission. This model, also called thermonuclear bomb or H bomb (helium), would – theoretically – be more efficient than fission bombs. Stanislaw Ulam from Poland joined the Manhattan Project and was able to produce a hybrid thermonuclear bomb in 1945 at Los Alamos. Ulam bomb is actually an implosion-type fission bomb which contains a mini fusion bomb. 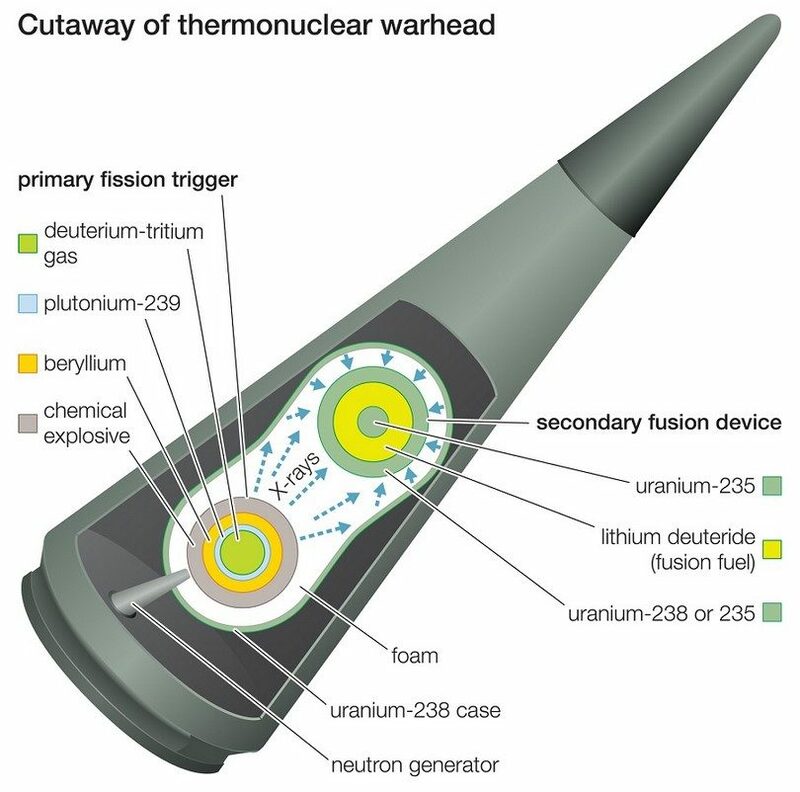 The fission bomb causes implosion and gives off X-rays, producing high temperatures and pressures. The compression shock initiates the fission reaction in plutonium and it exudes radiation, more heat and neutrons. The neutrons interact with lithium, transforming it into tritium. The combination of huge temperatures and pressures causes fusion reaction between tritium and deuterium – which amplifies radiation and heat, producing neutrons. They induce fission in uranium-235 pieces. On August 6th 1945, the weather was beautiful in Hiroshima, the first target city chosen by the Americans. At 8.15 AM local time, the bomber Enola Gay launched Little Boy. The bomb exploded 580 meters above the city. Two thirds of the city were destroyed. In a radius of 10 kilometers, about 90,000 buildings have collapsed instantly. 11.02 AM, August 9th 1945 – Fat Man was detonated 500 meters above Nagasaki. Fat Man was intended for Koruka town, but it was spared because of dense fog that had left in the morning attack. About 40% of Nagasaki was destroyed. Although Fat Man bomb was more powerful than Little Boy the rugged terrain of the city saved many inhabitants. 25,000 out of 270,000 died on the day of the explosion. 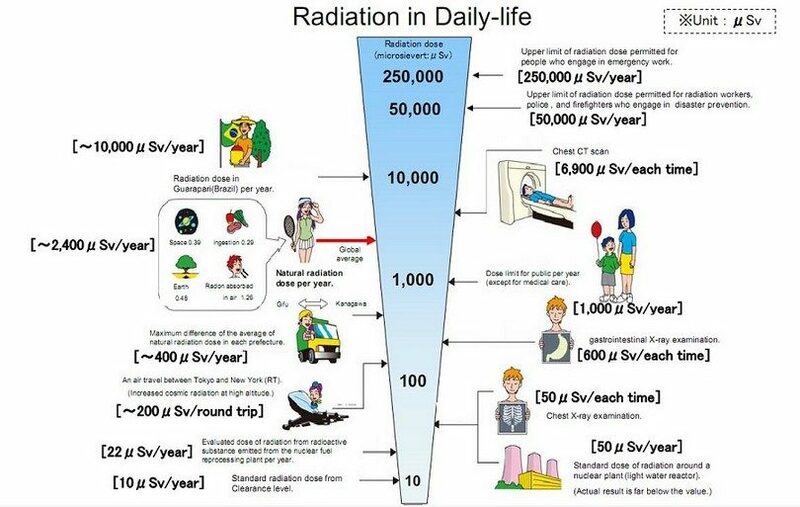 But 50,000 more died by the end of the year because of the radiations. If the detonation target of a nuclear bomb is a populated area, the explosion produces devastating losses. The damages vary depending on the distance between the ground and the center of the blast, called the hypo center or zero point. The smaller the distance, the larger the effect is. the fallout effect: radioactive clouds that remain after the explosion and radioactive particles formed from the remains of the bomb, which eventually fall to the ground. In the zero point, everything instantly evaporates due to extremely high temperatures (over 300 million Celsius degrees). Within a radius of 10-15 kilometers, the heat from the explosion causes fatal burns or instantaneous combustion and the pressure of the explosion causes all buildings to collapse. In the areas near the blast victims die from heat, acute exposure to high radiation and devastating fire. In the long term, the effect of the disaster makes fallout to spread in a vast space: radioactive particles are carried by wind and/or penetrate the water sources. People who are thousands of kilometers away from the explosion are thus exposed to killer radiation. Researchers from Radiation Effects Research Foundation (RERF) have studied the survivors of Hiroshima and Nagasaki bombings to understand the effects of nuclear explosion on human health. They were the first who showed that radiation and fallout effect primarily affects all cells that actively divide (hair, intestines, reproductive organs). 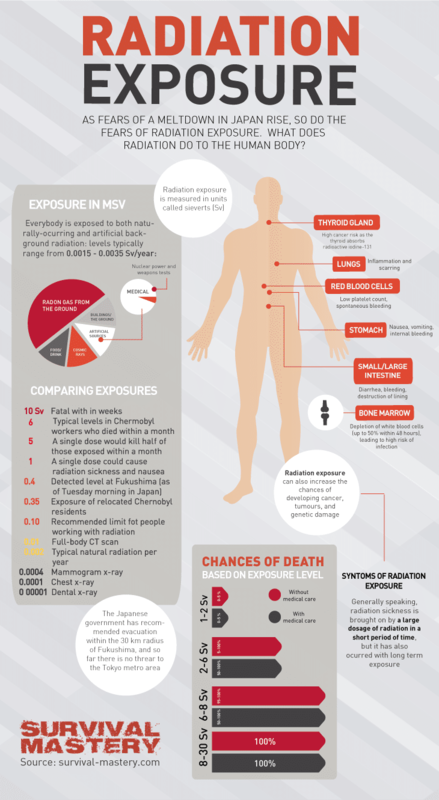 In a first phase, radiation exposure leads to dizziness, vomiting, diarrhea, massive hair an teeth loss, cataracts and loss of a huge number of cells. In a second phase, victims show an increased risk of contracting cancer or leukemia, becoming infertile or giving birth to children with birth defects. In the 80s, several physicists launched the hypothesis that, due to the Cold War and the global arming without a protocol to control the proliferation of nuclear weapons, there is a theoretical possibility that more such bombs simultaneously could explode in different parts of world. This disaster would cause Nuclear Winter. The scenario that underlies this hypothesis is that the explosion of over 50 nuclear bombs would rise into the air huge clouds of radioactive toxic dust which would penetrate into Earth’s atmosphere. 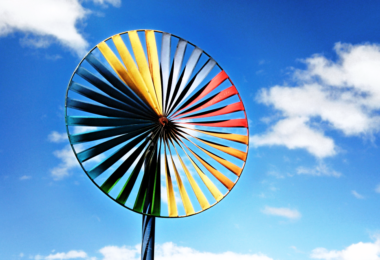 Finally, radioactive layer would block sunlight which would lead to the end of the photosynthesis process. 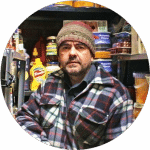 Last consequences of Nuclear Winter would be the disappearance of all sources of food, of the entire vegetation and of all animals on Earth, which would implicitly lead to the disappearance of the human race. Nuclear Winter scenario has acquired the valences of a terrifying collective fears when Saint Helen volcano, US and Pinatubo in the Philippines erupted. The giant clouds and the dust crossed thousands of kilometers, darkening the sky and destroying the flora and fauna of many areas. The two disasters have shown that in case of an atomic war Nuclear Winter scenario is likely to become reality. For information on nuclear fallout map, see our article on this important-read. While nine nations have nuclear weapons, other 187 committed not to produce them. Twenty countries like Switzerland, Brazil, Argentina, Canada and South Africa once had programs, but as a signatory of the 1968 Nuclear Non-Proliferation Treaty they abandoned them. Treaty was designed to limit the spread of nuclear weapons and to oblige the five states which owed them to share nuclear technology and materials for use in peaceful areas. 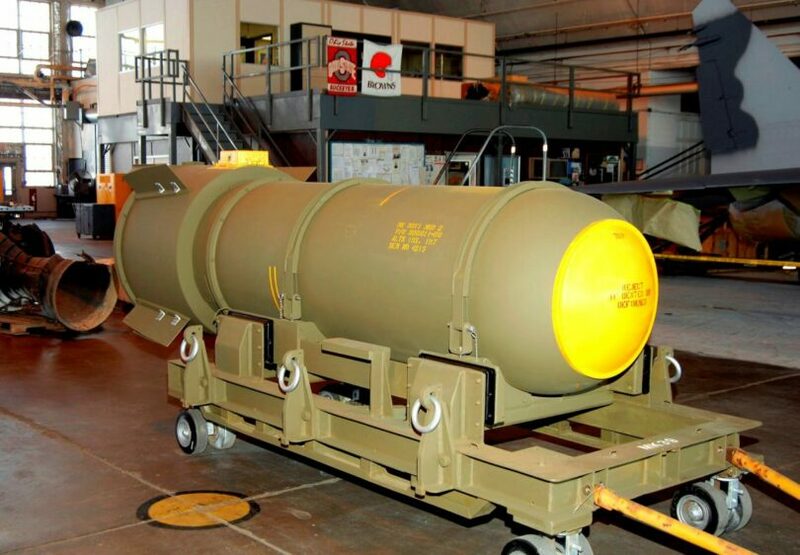 The treaty obtained the decommissioning of 38,000 warheads since 1986 mainly by US and Russian disarmament. Comprehensive Nuclear Test Ban Treaty (Multilateral Nuclear Test Ban Treaty) from 1996 is an attempt to limit the detonations and to slow the nuclear arming, but the US Senate refused to ratify it in 1999. Another big challenge is to control the quantity of the vast and poorly protected nuclear arsenal of the Russia. G8 countries have repeatedly pledged billions of dollars to protect the huge deposits. 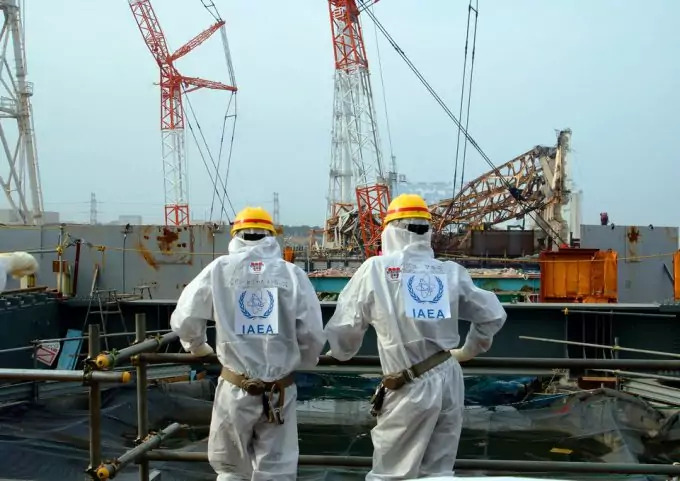 International Atomic Energy Agency fights to control the theft and black market of nuclear materials and technologies and fears that terrorists could get their hands on a counterfeit bomb are often expressed. 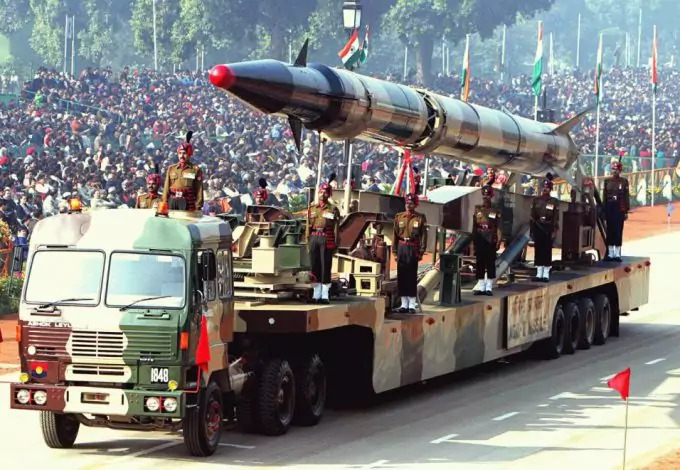 Sale of materials and information was highlighted in 2004 when a nuclear scientist admitted that Pakistan sold nuclear technology to Libya, North Korea and Pakistan. Nuclear power generation has been linked to nuclear proliferation. 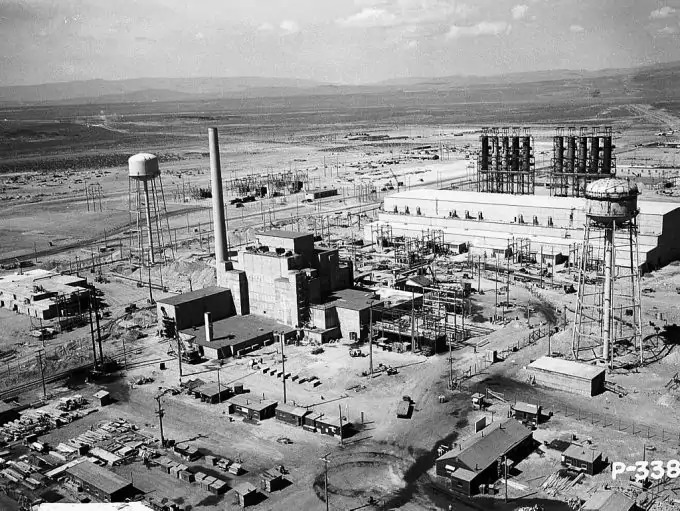 In fact, the first industrial scale reactors built in the US in 1944 were designed to produce plutonium for weapons and the created energy was wasted. The first nuclear reactor to provide electricity to the national network was opened in 1956 in England, at Calder Hall. Today countries like Japan and France use nuclear energy to provide up to 75% of their energy. Unlike nuclear weapons, nuclear reactors must tightly control the fission chain reaction. To prevent a runaway reaction, control rods are interwoven with fuel rods of uranium or plutonium. The control rods absorb neutrons and can be lowered into the reactor core to regulate energy produced. A moderating substance, such as water or graphite, surrounds the bars slowing down neutrons reaction by reflecting them back to the center. A cooling agent circulates around the core and is pumped to a heat exchanger where the water turns to steam and operates electricity generating turbines. Modern reactors cooled with gas, as in the UK, are using compressed carbon dioxide as a coolant. 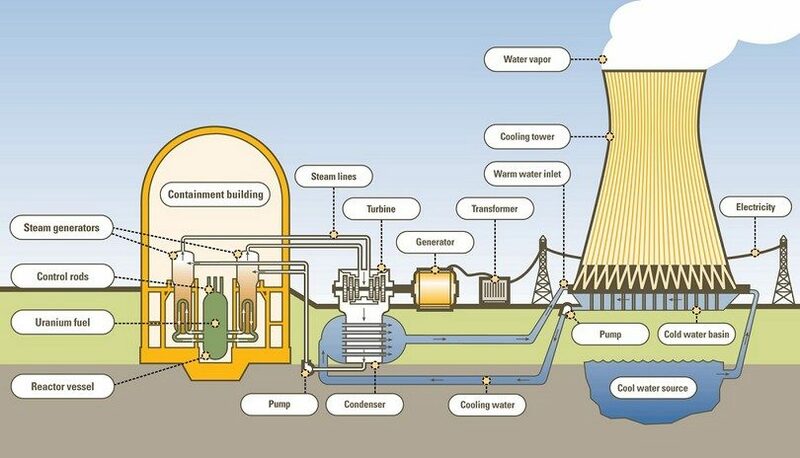 Light, pressurized and heavy water reactors are using water as moderator and coolant. These reactors are inherently inefficient, using only about 1% of the energy stored in the uranium fuel. To overcome this inefficiency and minimize nuclear waste, some countries reprocess nuclear fuel. The reprocessing unit in Sellafield, UK is the largest in the world, but encountered many problems. Modern (but less safe) breeder reactors use liquid sodium metal as coolant and generate plutonium as fuel. Breeder reactors as Superphénix in France, Dounreay in the UK, Monju in Japan and planned reactors in India can use up to 75 % of the energy contained in uranium. The new Rapid-L miniature reactors could reach to supply energy in the basement of the apartment buildings and portable (“take- away”) reactors are planned in the future. Nuclear fuel was also used to power submarines, such as Russia’s doomed Kursk; spacecrafts like Cassini, Galileo and the one who failed, Mars-96; icebreakers, aircraft carriers and other ships. Pentagon briefly evoked the idea of a nuclear-powered aircraft. Some accidents shattered public confidence in nuclear energy. 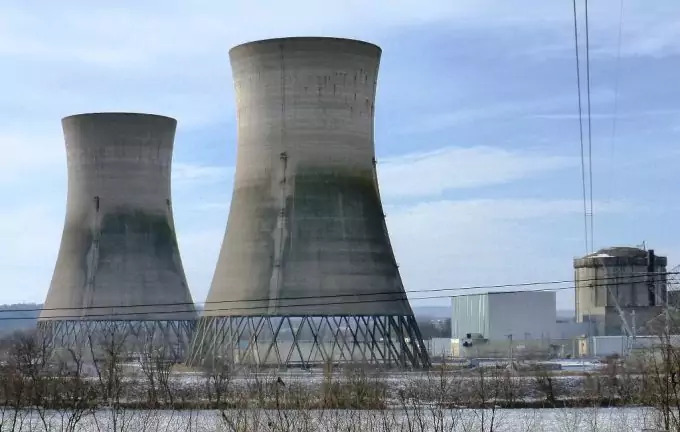 The worst US nuclear accident happened in 1979, when a cooling system malfunction occurred at Three Mile Island in Pennsylvania. The reactor has melted, releasing radioactive gases into the environment. Now there are concerns about the safety of old reactors in the US. Check out our piece on how to survive a nuclear attack for more insight. The most catastrophic nuclear accident in the world happened at Chernobyl in Ukraine. The control rods were removed from the reactor during a test poorly led, melting and causing massive explosions. The radiation released directly killed 30 people and spread across northern Europe. The radiation caused by the accident led to thyroid cancer and leukemia, birth defects, infant death and lakes and forests contamination. Three other reactors at Chernobyl were restarted in 1988, but then they were stopped, the last one in 2000 after Western nations have paid Ukraine for its closure. Similar reactors in Eastern Europe can be equally dangerous. In 1999, 70 people were exposed to radiation at the uranium processing factory in Tokaimura, Japan after the workers have added seven times more uranium than the secure amount in a stabilizing tank. This triggered an uncontrolled chain reaction. Many other dangerous or fatal accidents occurred at Windscale, Sellafield, Mayak, Monju, Tsuruga and Mihama. On March 11th 2011 a disaster explosion occurred in Fukushima nuclear power plant in Japan, which consists of four nuclear reactors. It was caused by the earthquake in the northeast region from 2:46 PM, followed by a large tsunami. its embedding in glass blocks at nuclear facilities. Areas that use nuclear power plants include North America, Japan and Europe. The advantage of nuclear energy is that it doesn’t release carbon dioxide and other gases harmful to the atmosphere. The disadvantage is that nuclear reactions produce radioactive waste that can be extremely dangerous. People who work near radioactive waste should take strict measures to ensure their health, safety and to protect the environment. Nuclear power plants are expensive, both for construction and maintenance. This is the reason why lately there are less and less power plants build all over the world. 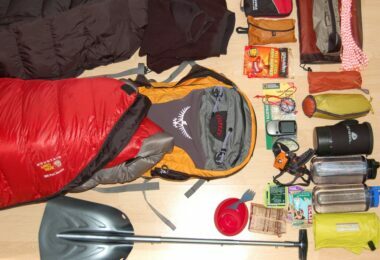 Do read our informative piece on TOETWAWKI survival and learn how to prepare for any disaster in the future.